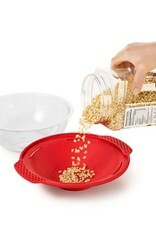 This Microwave Popcorn Maker makes dreams of quick, delicious, healthy homemade popcorn within reach. 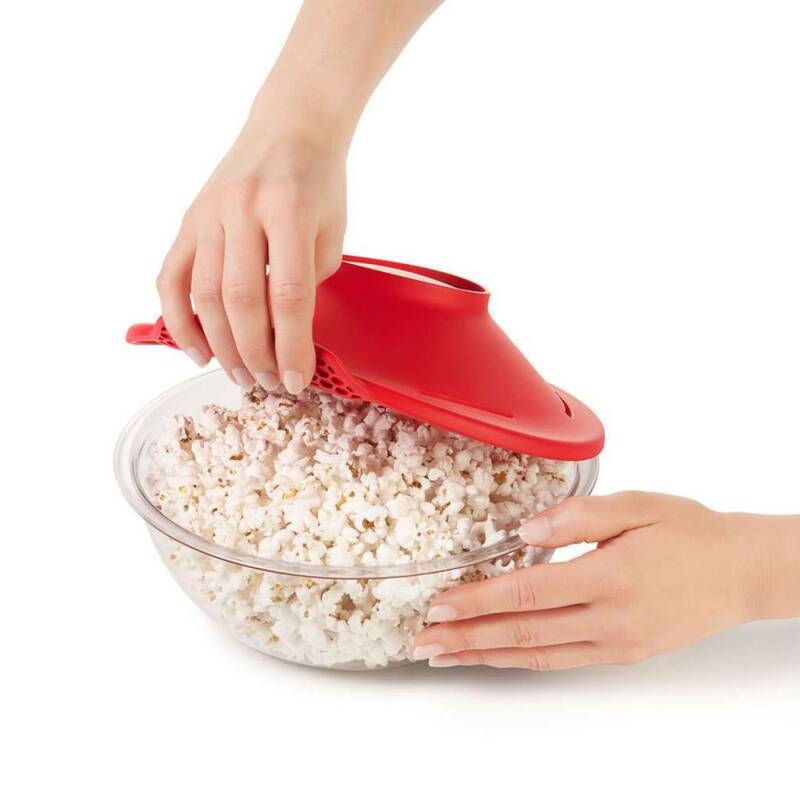 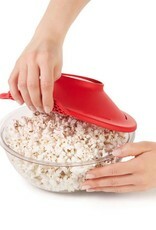 Stay-cool handles have a honeycomb pattern inspired by nature, which dissipates heat, so the Popcorn Maker is safe to touch straight from the microwave. 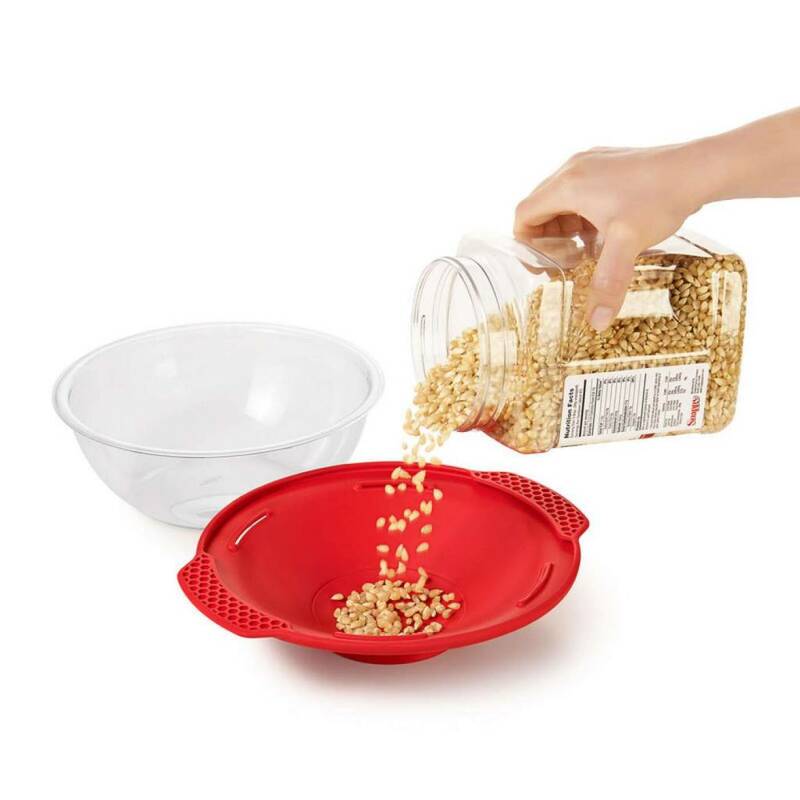 The multi-function lid secures closed for shaking ingredients and doubles as a serving bowl, handy measurement markings show the right amount of kernels to use, and angled walls promote even popping. 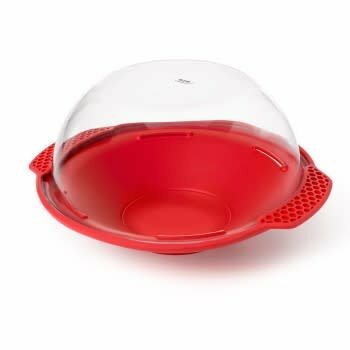 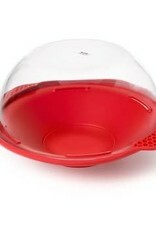 The base and lid nest for compact storage so whenever you’re ready for popcorn; nothing will come between you and snack time.